The hydropower segment in India has witnessed sluggish growth in the past few years. As of February 2017, its total installed capacity stood at 44,413.43 MW, representing only about 30 per cent of the country’s estimated potential of around 148 GW. Its contribution to the country’s generation mix has also been declining steadily. From 20 per cent in 2011-12, the segment’s share in total generation is now only 14 per cent. This has been largely due to the massive addition of almost 80.8 GW of coal-based capacity during this period, as against an addition of only 4.1 GW of hydro. In terms of year-on-year growth, between 2011-12 and 2015-16, the installed hydro capacity increased at a compound annual growth rate of 2.3 per cent, which was significantly lower than the 10.9 per cent growth in total installed capacity. Meanwhile, as per recent power ministry data, almost 45 per cent of the hydro projects currently under construction and worth more than Rs 300 billion are either stalled or stressed. Time and cost overruns have resulted in higher hydropower tariffs in recent years. At Rs 4.50-Rs 5 per unit at present, hydropower is not a competitive option (against Rs 2 per unit on the power exchanges). Discoms are therefore averse to buying the high-cost power from such projects. Region-wise, about 43.3 per cent of the current installed capacity is located in the northern part of the country, 26.4 per cent in the south, 16.8 per cent in the west, 10.7 per cent in the east and only 2.8 per cent in the north-eastern region. About 59 per cent of this capacity is installed as storage-based plants, 22 per cent as run-of-the-river (RoR) plants and the rest as RoR plants with pondage. Capacity addition in the segment has followed a fluctuating trend over the years. In 2012-13, 510 MW of hydropower capacity was added, followed by 1,058 MW in 2013-14; in 2014-15, it decreased to 736 MW. In the past two years, however, there has been consistent growth, with a capacity addition of 1,516 MW in 2015-16 and 1,630 MW in 2016-17 (as of February 2017). Generation from hydropower plants has been declining over the past three years. From 134,848 MUs in 2013-14, it decreased by 4.1 per cent to 129,244 MUs in 2014-15, by about 6 per cent to 121,377 MUs in 2015-16 and to 114,330 MUs in 2016-17 (as of February 2017). In order to promote the hydropower segment, the government, in January 2016, extended the cost-plus tariff regime, earlier applicable only until December 2015, to the Thirteenth Plan period (2017-22). Also, power purchase agreements for hydropower plants can now be extended by up to 15 years beyond the specified time period of 35 years. Further, to generate interest in the segment, the government is working on a number of measures. One of these is the reassessment of the hydro potential in light of technological advancements, and the additional hydrological and topographical data available. The review will consider additional site constraints, submergence levels, cumulative basin studies, treaty issues, tribunal awards and the environmental impact of hydropower projects. To this, proposals were invited from THDC India Limited, SJVN Limited and WAPCOS Limited for carrying out basin reviews. A new hydropower policy for addressing regulatory and financial issues, and reviving stalled projects is also under discussion. The extension of tax benefits and subsidies allowed for renewable sources to hydro projects of over 25 MW is also under consideration. The government is moreover considering the setting up of a central procurement agency to procure power from existing and upcoming hydro projects on the lines of the solar power bundling scheme. In December 2016, the power ministry issued guidelines on the cross-border trade of electricity. These guidelines are expected to facilitate the import of power from major hydropower projects being developed in Nepal and Bhutan. One of the key challenges is getting past bureaucratic hurdles in land acquisition. With multiple permissions required, projects often get delayed significantly, resulting in cost overruns. Sikkim Hydro Power Limited’s 66 MW Rangit-II and Madhya Bharat Power Corporation Limited’s 96 MW Rongnichu hydropower plants are cases in point. Both projects have been severely affected due to delays in land acquisition. Environmental concerns are another key factor leading to delays in the implementation of hydropower projects. For instance, the Supreme Court stalled the construction of 24 plants in Uttarakhand following the flash floods in 2013. Also, in the north-eastern region, NHPC’s 2,000 MW Subansiri Lower plant has been facing opposition due to its impact on water resources for the downstream states. The issue of resettlement and rehabilitation (R&R) and the consequential social impact of these plants on the area is also a challenge. As a result, multiple projects including Himachal Pradesh Power Corporation Limited’s 130 MW Kashang II and III plants and THDC India Limited’s 444 MW Vishnugad Pipalkoti power plant have been severely affected due to protests by locals. Geological difficulties, the lack of enabling infrastructure such as poor approach roads and improper power evacuation, financial difficulties, contractual and interstate disputes, the unavailability of water, especially for plants constructed on semi-seasonal rivers, natural calamities such as the 2013 Uttarakhand flash floods, and the law and order scenario are some of the other challenges affecting the segment. In light of these issues, developers are looking at various ways to unlock their investments in these projects. In January 2016, multiple private players, including Jindal Power, Lanco Infratech and IL&FS, had approached NHPC to form operational joint ventures or completely take over their projects, amounting to a cumulative capacity of more than 15 GW. NHPC, however, rejected the request. In June 2016, the Power Finance Corporation (PFC), as the lead investor in a consortium of six lenders, acquired the majority equity of 51 per cent in Shree Maheshwar Hydel Power Corporation Limited after the promoters defaulted in repaying debt. In January 2017, Greenko Energy was reportedly in the process of acquiring the 100 MW Solang hydropower plant in Himachal Pradesh for about Rs 6.5 billion from global investor, Abu Dhabi National Energy Company, PJSC (TAQA). According to the CEA data, as of December 2016, about 13.2 GW of hydropower capacity is at various stages of construction and is targeted to be set up by 2021-22. Nearly half of this capacity is being developed by the central government, 28 per cent by the state governments and about a quarter by private players. About 22 per cent of the capacity under construction is located in Arunachal Pradesh, 19 per cent in Sikkim, 18 per cent in Uttarakhand and 16 per cent in Himachal Pradesh, while the rest is scattered across the country. About 1,659 MW of the total capacity is about to begin operations, 4,622 MW is subject to the restarting of construction and another 600 MW is currently in a critical state of development. As per the draft National Electricity Plan prepared by the CEA, the future pipeline of hydro projects includes 15.3 GW of hydro capacity to be added during the Thirteenth Plan period, while another 12 GW is expected to be added during the Fourteenth Plan period (2022-27). The hydropower segment has fallen behind despite high generation potential and conducive policies. Issues such as delayed clearances, agitation against the social and environmental impact, right-of-way issues, financial hurdles, land acquisition challenges, natural disasters and contractual disputes have all contributed to the decline in investor interest in the segment. It is, therefore, imperative for the government to revise the policies and strategies to help the segment grow. One such policy initiative that has recently garnered industry attention is the inclusion of hydropower within the ambit of renewable energy. This will not only open the segment to accessible and competitive capital but also extend various renewable energy policies to it. 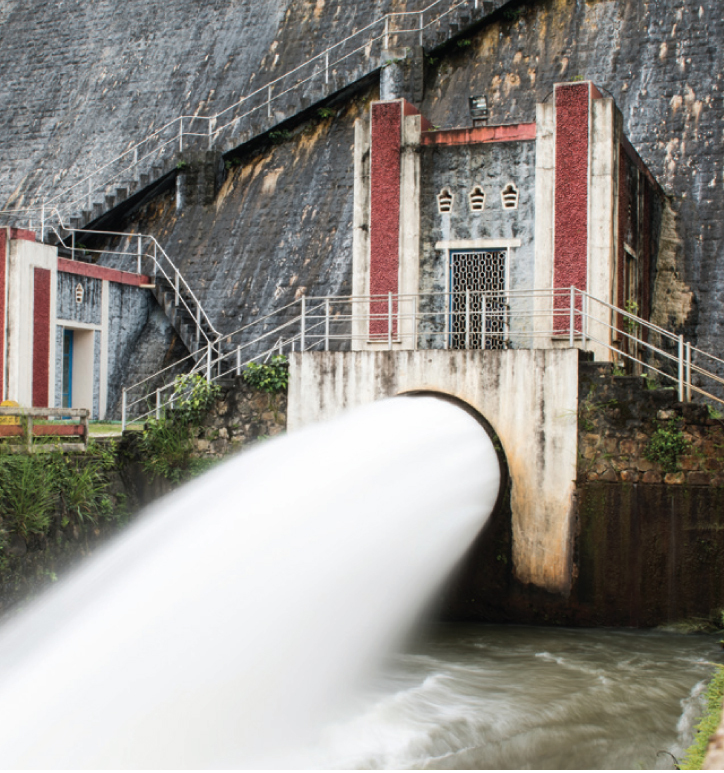 The need for a robust hydropower segment comes from the storage capabilities provided by most plants, which can help balance the variability of power from renewable energy sources. That said some key measures necessary for the revival of the segment include the introduction of a single-window clearance and online monitoring mechanism, strengthening of the transmission and distribution system, and introduction of financial schemes such as refinancing and tax-saving bonds.